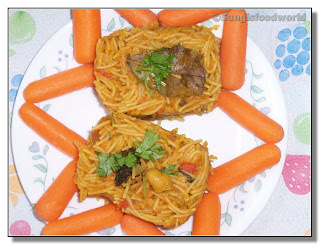 I thought of trying some new recipe with carrot and the pack of semolina sitting in my pantry for more than a month, made me go for this kichidi. 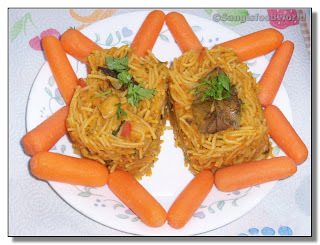 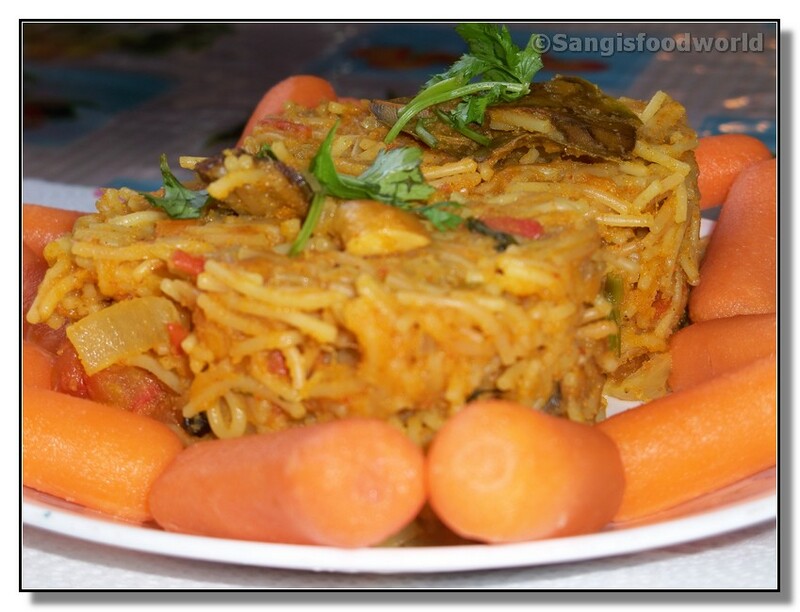 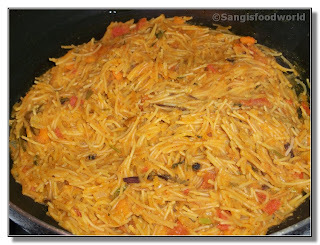 This is not the usual kichidi where you just add in the grated or chopped carrot. 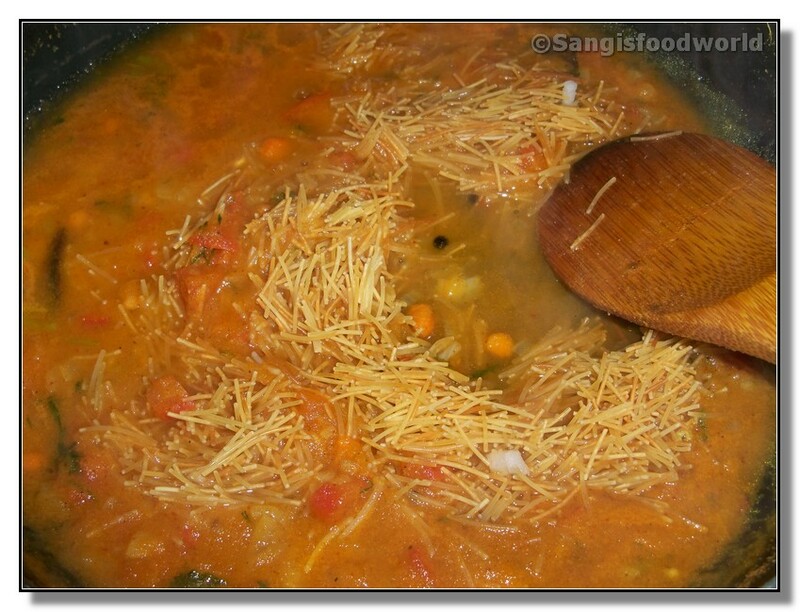 I made this kichidi by cooking the semiya/semolina in the carrot juice. 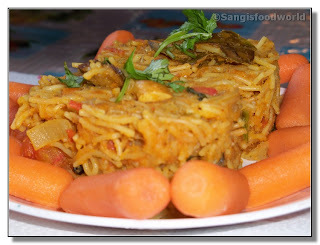 Hence the name Carrot semiya kichidi. This is a bit spicier dish, as I have used bit more of the whole spices and ginger-garlic to combat for the sweetness from the carrot juice. 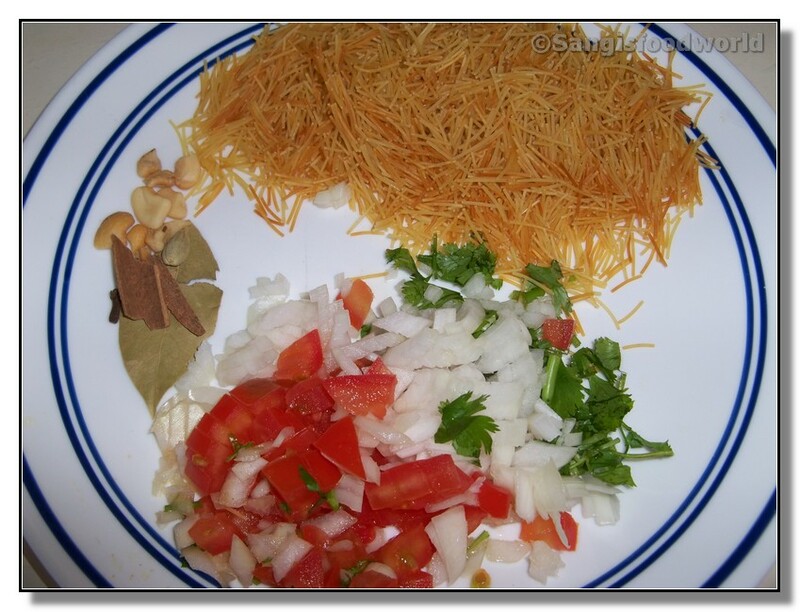 This dish turned out to be a success, which we enjoyed for our breakfast with sambar. Bay leaf - 1 no. 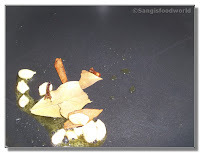 Cinnamon stick - 1 no. 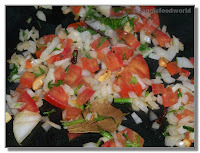 Heat oil in a pan, add bay leaf , cloves, cardamon, cinnamon and saute for 2 minutes. 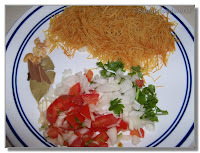 Then add the onions, ginger-garlic paste and cook until the onions turn pink. 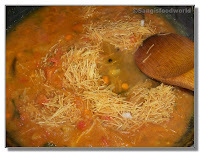 Add tomatoes and cook until mushy. 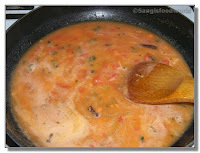 Add tumeric and chilly powder to the onion tomato mixture and saute for few minutes. 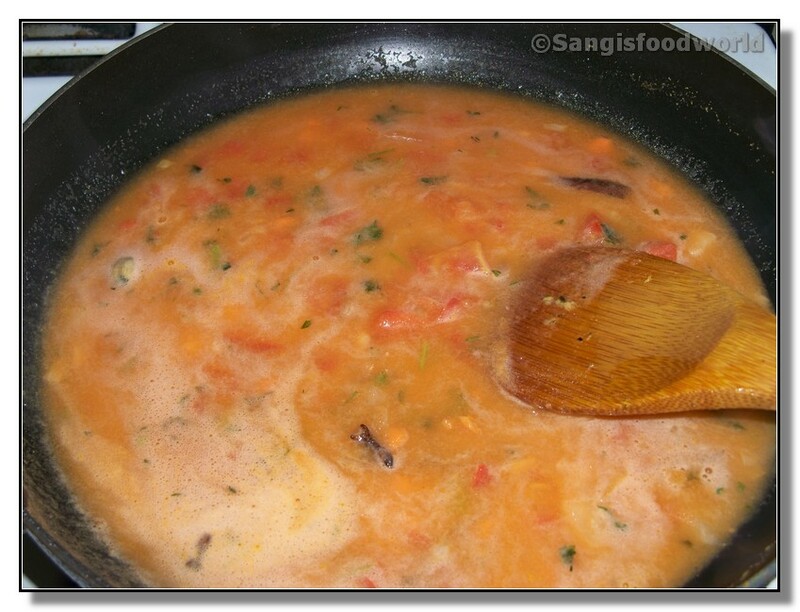 Now add the measured amount of carrot juice to the pan and bring it to boil. The ratio of carrot juice to semiya is 1 : 1.5 Cups. 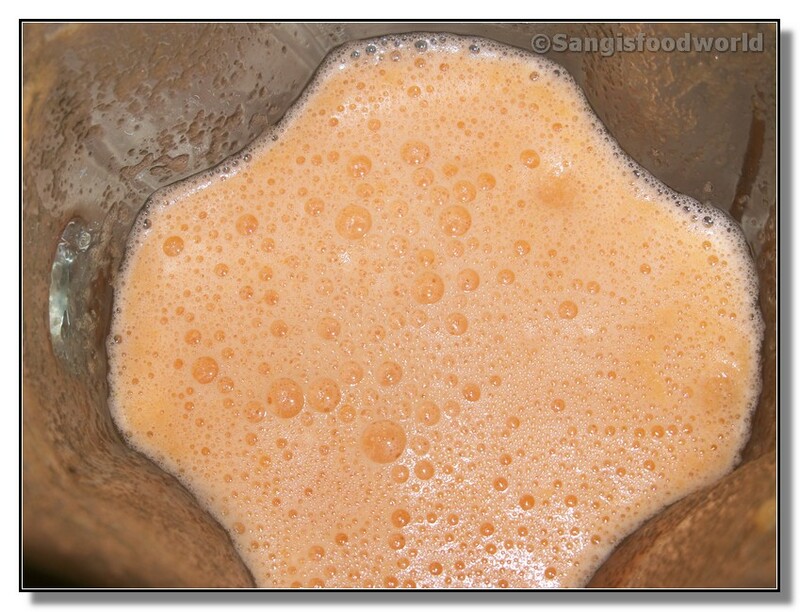 Once the carrot juice starts boil, add the semolina and cook it covered until done. Spicy carrot semiya kichidi is ready to be served with sambar or any chutney of your choice.